Day 68 of SP…. Many shots to choose from this morning.. Heavy seas after the winter storm passed us and out to ocean horizon… I liked this photo for the clarity of the birds, depth and slight blues, showing promise of return to calmer seas.. 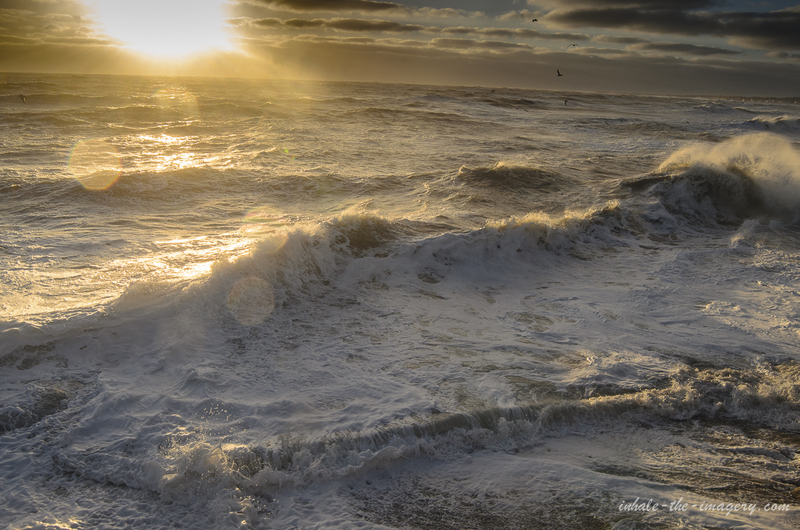 However, a few hours after this shots the seas were very rough, coming over seawall with major force…. A great day to be up for the Sunrise Project..